WANT TO REACH 275,000 VIEWERS? 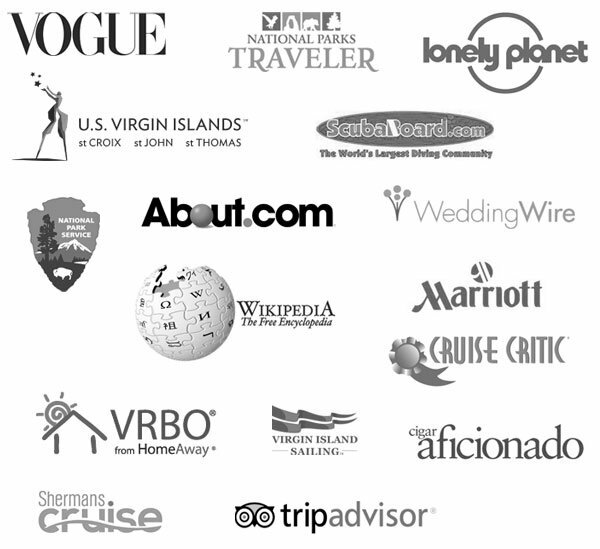 Onislandtimes.com and the StJohn-BeachGuide.com currently reach over 23,000 unique visitors each month! By providing unique content, maps, reviews, photos, video and information we’re well on our way to being the #1 online resource for St John travel information! What does the graphic mean? 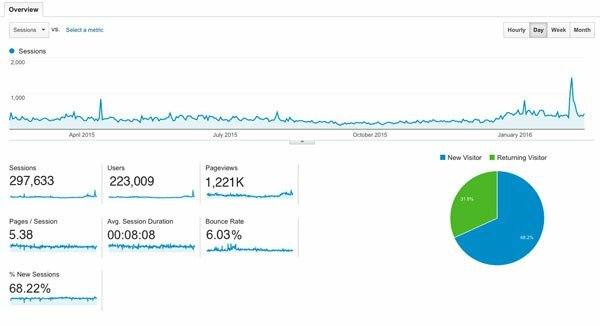 It shows our tremendous traffic growth for 2015. That’s 275,000 people interested in St John travel. That’s over 2X the traffic we generated in 2014! The St John On-Islands Times draws from the over 8 million unique internet searches submitted by people looking for news and travel information for the island of St John. They’re looking for information on where to stay, what to do and where to eat, drink and shop. And we strive to put all of that information at their finger tips. 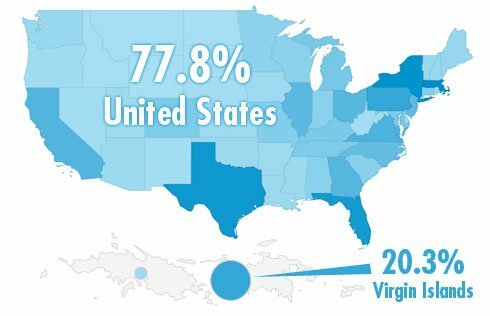 Over 77% of our traffic comes from the United States [ the USA accounts for over 82.7% of all hotel stays in the USVI ] and the majority of the remaining traffic [ 20.3% ] from visitors on vacation in the Virgin Islands. 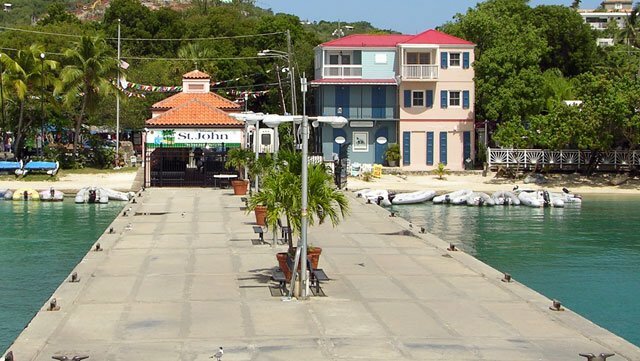 … we’re a fantastic “on-island” resource that visitors use during their vacation on St John! Our site is promoted via online advertising, social media and print. We promote for high quality traffic – visitors that are truly interested in travel information for St John. We are active on travel forums like Tripadvisor, Fodors and Frommers. We have an established Facebook fan base in the thousands – with weekly reach numbers that exceed 30,000! Our site is relatively young by internet standards – but through professional SEO we are already ranking well among the top keywords and phrases associated with St John travel! The best part – Onislandtimes.com doesn’t just reach viewers prior to their vacation – we’re a fantastic “on-island” resource and visitors use the site during their vacation on St John! What better time to reach an audience …when they’re here …on vacation! We have a wide variety of advertising options to choose from – matching every service/industry and budget. Prices range from a FREE listing to annual contracts for banner ads. We offer Page Sponsorship [ must be within your industry / or subject to approval ]. We even have advertorials ( sponsored stories). These give your business the opportunity to reach our viewers in a unique way …via a news-style presentation; providing valuable information and brand recognition.